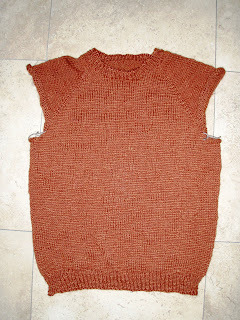 Kyle Knits - a boy, his cats and way too much yarn: Top Down Raglan Progress and GAP suggestion! Why is everyone having car accidents lately. have you seen mine on my blog!!!! That yarn looks pretty interesting. What are you planning to do with it? Having not had a car crash for ever so long (at least a couple of years) I feel somewhat smug. Watch- now I'll drive to work tomorrow and have a fender-bender. Glad your car's not totalled, though.